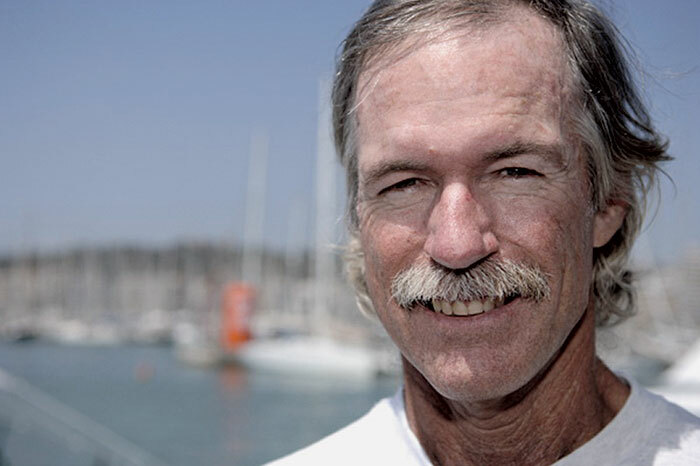 The National Sailing Hall of Fame has announced its second annual “class” of honorees, including two California-born sailing legends: “Star of the Star class” Mark Reynolds of San Diego and elite navigator Stan Honey of Palo Alto. The group of nine U.S.-born sailors will be honored at an awards presentation scheduled Oct. 14 at Southern Yacht Club in New Orleans. The group was picked through a two-month selection period last spring, when a selection committee made up of representatives from the national governing body, the hall’s founding yacht clubs, the 2011 class of inductees and members of the sailing media, industry, community and maritime museums, reviewed the broad spectrum of nominations. This year’s class includes Honey, winner of the 2006 Volvo Ocean Race as well as the 2010 Jules Verne trophy for fastest nonstop circumnavigation of the globe; yacht designer Bruce Kirby of Rowayton, Conn.; 1988 Soling Olympic Silver medalist, winning Volvo Ocean Race skipper and America’s Cup tactician John Kostecki of Reno, Nev.; and three-time Star Olympic medalist and two-time Star world champion Reynolds. Posthumous inductees for the 2012 class include Olympic Gold and Silver medalist Peter Barrett; America’s Cup competitor and journalist Bob Bavier; rules expert Gregg Bemis; yacht designer and Medal of Freedom winner Rod Stephens; and founder and first commodore of New York Yacht Club John Cox Stevens. With last year’s inaugural class being presented at San Diego Yacht Club, the National Sailing Hall of Fame is aiming to broaden the national scope of sailing by holding the presentation in various clubs around the country. Southern YC is the second oldest yacht club in the nation. Formed in 2005, the National Sailing Hall of Fame is currently working on creating a permanent facility along the waterfront of Annapolis, Md., and it has put forward plans for Phase 1 of the proposed building. National Sailing Hall of Fame inductees are American citizens, 45 years of age and up, who have made a significant impact on the growth and development of the sport in the U.S. in the categories of sailing, technical/design and contributor (such as coach, administrator or sailing media). Nominations of non-citizens are considered if they influenced the sport in the U.S., and posthumous nominations are also accepted. Long called the “Star of the Star class,” Reynolds is a four-time Olympian who had actually planned for his first Olympic campaign in the Flying Dutchman class, only to be sidelined when the U.S. boycotted the 1980 Games. Switching to the Star class, his bid for a Gold medal at the 1988 Olympics — with crew Hal Haenel — was undone in the final race, when a control line failed and the mast fell in the high winds and waves off Pusan, Korea. However, Reynolds and Haenel took Silver. The first U.S. Star sailors to ever repeat as Olympic representatives, the duo kept their focus for the 1992 Olympic Regatta in Barcelona and never finished worse than third in any race. Their consistency earned them the Gold medal — and the luxury of sitting out the final race of the series. After winning the 1995 Star World Championships in Spain, Reynolds and Haenel made their third trip to the Olympics in 1996, finishing out of the medals on the waters of Savannah, Ga.
Reynolds then went on to make U.S. Olympic sailing history again — with his fourth consecutive trip to the games in the same event — when he sailed in Sydney with Magnus Liljedahl. Having won Kiel Week, the Goldener Pfingstbusch Regatta and the 2000 Nautica Star World Championship (in a fleet of 112 boats), they entered the 2000 Olympics heavily favored to medal. Reynolds and Liljedahl won the U.S.’ first sailing Gold medal since 1992, when Reynolds had last stood atop the podium with Haenel. The 57-year-old sailmaker and lifelong resident of San Diego was introduced to the sport at age 4 by his father, Jim Reynolds, who, with 2011 National Sailing Hall of Fame inductee Dennis Conner, won the 1971 Star World Championship. Married to DeAnn and a father of three, Reynolds is the owner of the Quantum sail loft in San Diego. While indelibly associated with the yellow first-down line one sees on televised NFL football games, there is quite a bit more to Stan Honey. His greatest achievement has been his ability to merge his electronic engineering talents — such as his innovative breakthroughs in moving-map vehicle navigation, remote sensoring and tracking and highlighting systems for sports — with his love of sailing. Honey can lay claim to television enhancements including the red and blue tails attached to streaking hockey pucks, the tracking of NASCAR and IRL cars, and the strike zone showing pitch location in televised baseball games. His sailing record is almost as impressive as his electronic breakthroughs. He was a top sailor at Yale in the class of 1978. As a navigator, he has won 11 of 22 Transpac races including singlehanded, doublehanded and fully crewed Transpac records. Honey won the Volvo Ocean Race in 2005-2006 and broke the Jules Verne circumnavigation record in 2010, highlighting a score of other notable victories. In 2010, he was voted Rolex Yachtsman of the Year. Most recently, Honey has come up with the impressive set of on-screen television graphics that has illuminated the complexities of the fleet and match racing by 45-foot catamarans competing in the 34th America’s Cup World Series. With his creative use of a heady array of electronic tools, Stan Honey is creating more viewer-friendly sailing events. The key element in his display is a visual presentation of the boundaries that keep the fleet centered, which adds an important tactical element.